My fondest memory was making new friends and the Professors being there for assistance. Graduating from Buffalo State helped me to become a Good Special Education Teacher. 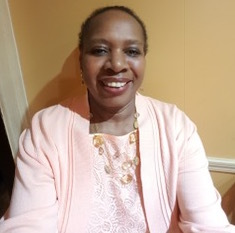 My accomplishments are as follows: I was a member of the Ujima Theater Company, I directed Children's plays for about 10 years or more at my school, active in my Church Community and I have traveled around the Country. My advice for current students to achieve success after graduating is to never give up no matter how hard it may become. There will be walls and stumbling blocks, but you must overcome them.